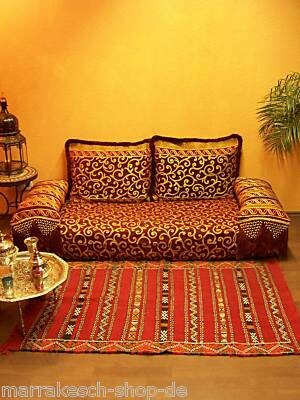 Moroccan sofa, with two different patterns. 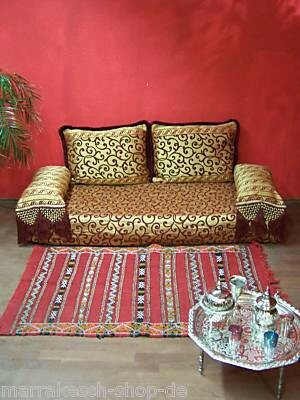 These sofas has become increasingly popular in the Oriental world. Here the production is of course entirely handmade. The mattress is made ​​of foam in the middle, wrapped in cotton wool, and then sewn by hand. 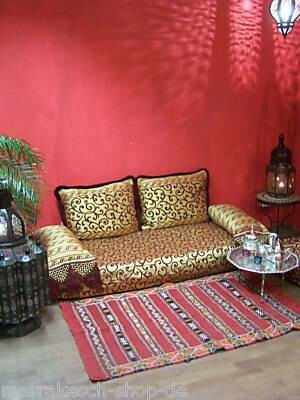 Thus it is very convenient and has a good shelf life, this mattress represent the highest quality of Moroccan mattresses. 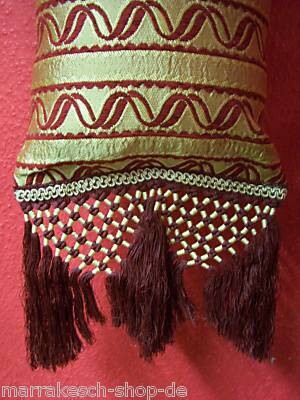 The cover is made ​​of fine fabric which is removable, and has two sides with two different patterns. So you get two beds in one. The cushions are filled with cotton and have a zipper, so they can be replaced if necessary. 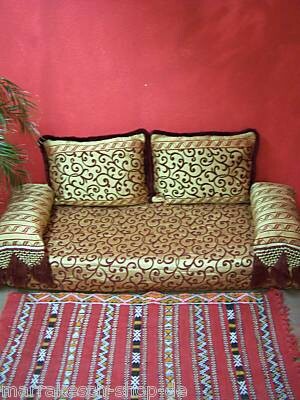 The sofa is composed of a mattress with cover, two back cushions with cover and two side cushions with cover.